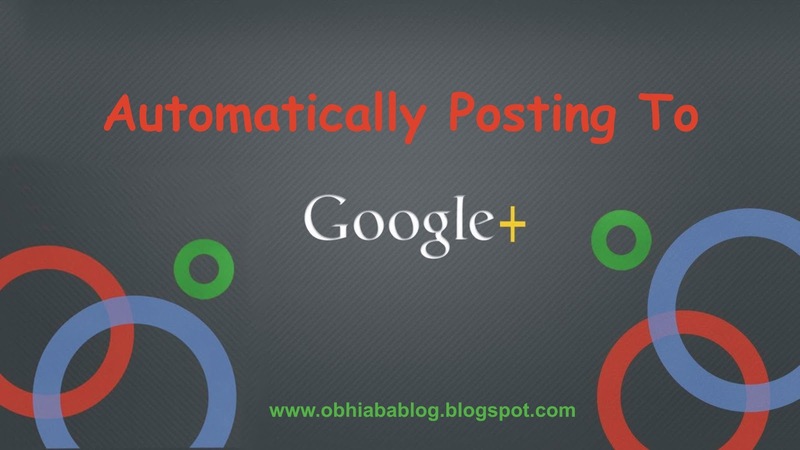 Posting to Google Plus automatically is possible just as posting to Facebook automatically. 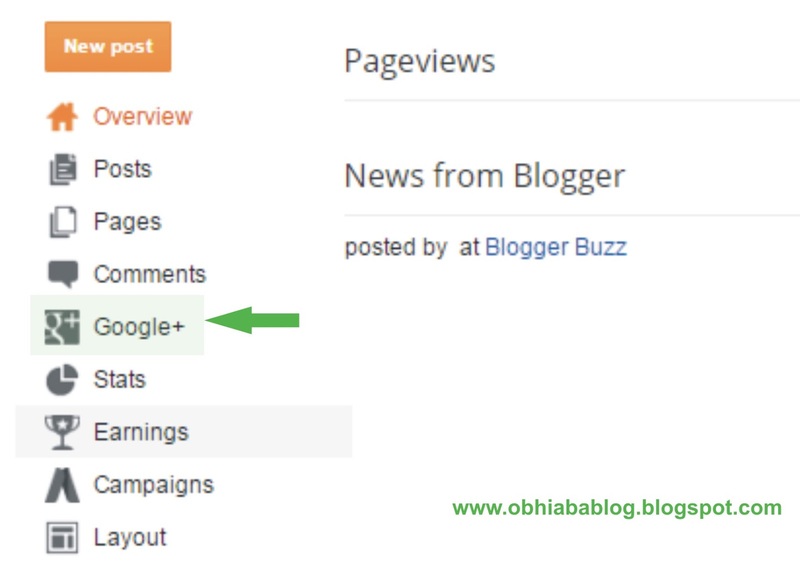 But today I will be briefing you on how I successfully activated my blogger blog to post to Google plus without me having to accept prompting pop-ups whenever I publish a post. 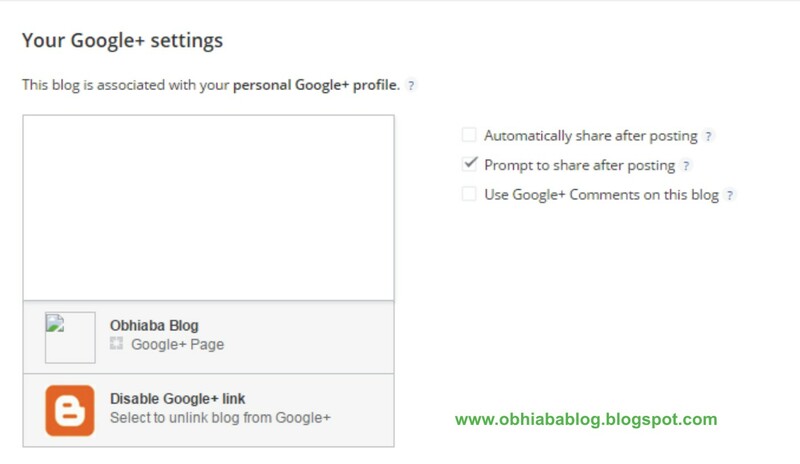 Blogger and Google plus are owned by the same company Google and if by peradventure you use Google plus commenting system on your blog, you would notice that integrating your blogger blog with your google plus profile or page is quite easy. And not just that, a few gadgets are made freely available on blogger dashboard to enable you to integrate both accounts with no stress. So how did I integrate my blogger blog to post automatically to Google plus?. It’s easy, all you need to do is follow the brief but interesting procedures below and yep, you will get the job done in a jiffy. Simply locate your dashboard menu and clink on Google+, as shown in the photo above. Select the “Automatically share after posting” option. Save it and you are all done. 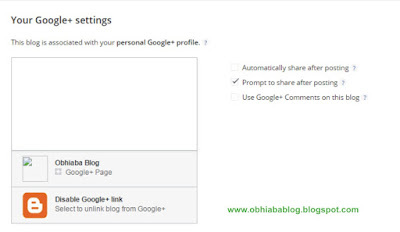 As soon as you post an article, it should automatically publish to your google profile. Hope it was easy and did not take much of your time. 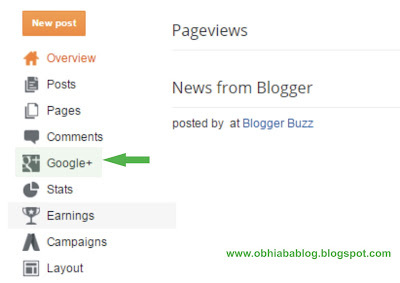 Do enjoy blogging with the ever amazing BlogSpot platform and don’t forget to bookmark Obhiaba blog. Keep visiting and be sure of great articles. Catch me on Facebook, Twitter and Instagram.